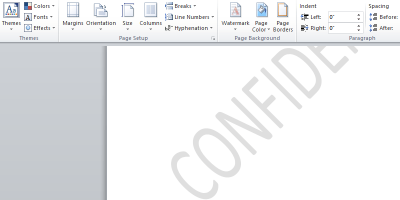 Designing documents in Word can be a mix of incredibly easy and painfully difficult. 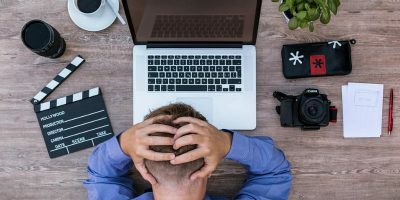 Certain tasks are painless, while moving images around a document is a minefield of unexpected consequences. 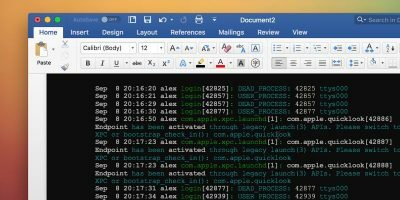 If you work with the same types of documents frequently, you might find yourself making the same stylistic tweaks over and over again, but you can save yourself the trouble. 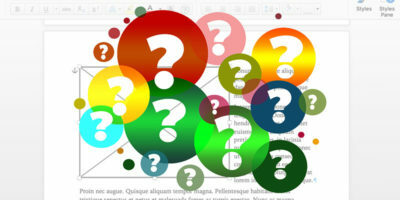 It’s easy to save an existing Word document as a template, preserving the styling and starter text for new documents. 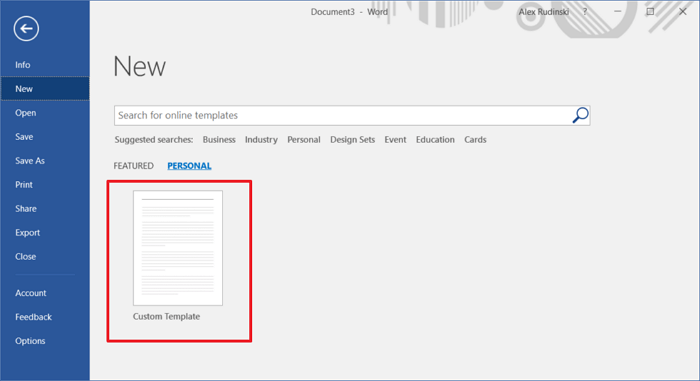 You can also build a template from scratch, on which you can base new documents. Before we talk about templates, we have to talk about the right way to style text in Word. 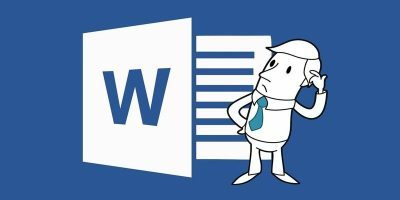 If you’re not using Styles in Word (i.e. styling text directly), you have two problems. First, you’re doing everything in just about the hardest way possible. Secondly, your templates will only be of limited usefulness. Creating headings by selecting text, adjusting the font size to 24 and making it bold (and then undoing it in the next line!) is a frustrating waste of time. Always use Headings and Normal styling as part of a document. You can find this in the Home section of the ribbon under the “Styles” section. While you’re learning the ropes, start with the existing styles and overwrite them with your preferred styling choices. The existing styles let you set up the “structure” of your documents, which is crucial for templates. 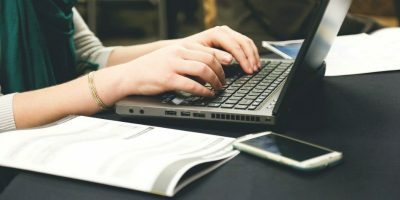 To adjust an existing style, style the text directly until it looks like what you want, right-click on the style you want to replace, and choose “Update [Style] to match selection.” You can also right-click on the Style and choose “Modify,” but that can be a little trickier to get right. Rather than pressing enter twice under a heading, use the “Paragraph” ribbon section to get text spacing right. Get advanced text options, like letter spacing, from the “Font” menu by clicking the small arrow in the bottom-right of the “Font” ribbon menu. The same trick works for any ribbon menu! Once you have your template built or your document open, you can save it as a Word Template for use later. 1. 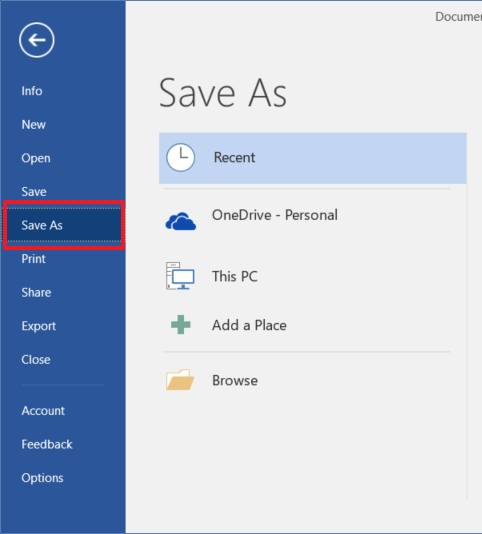 Click “File,” then choose “Save As” from the menu on the left. 3. Type the desired name for your template in the file name box. Use spaces and capitals to make it look nice; you’ll see this template name in Word’s template chooser later. 4. 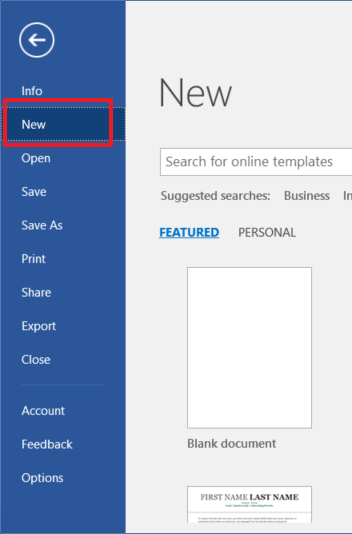 Click the format dropdown menu and choose “Word Template (*.dotx)” from the list. 5. 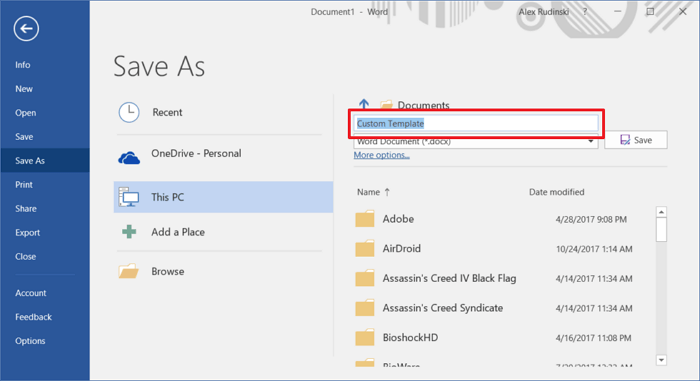 Office will automatically navigate to the default folder for custom Word Templates on your computer. Click the “Save” button to save the new template. Once you have your template saved, you’ll want to create new documents with it. 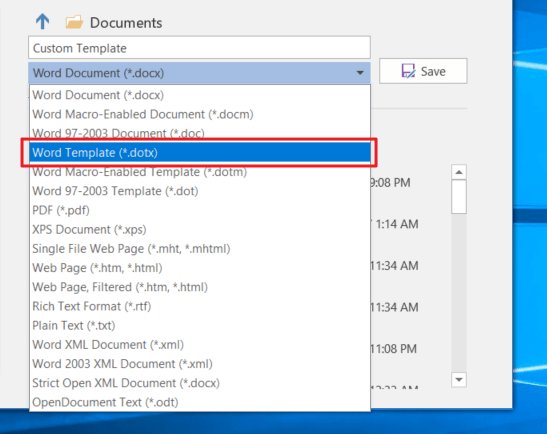 True to the name, creating a new document with this template will not modify the template file itself. 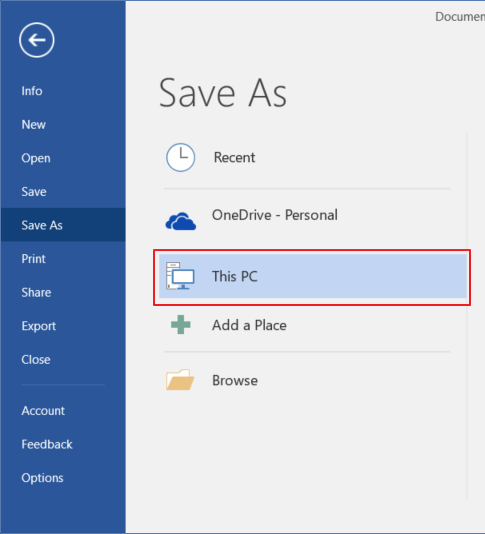 You’ll create a new, unsaved document with the styling and document setup copied over from your template. 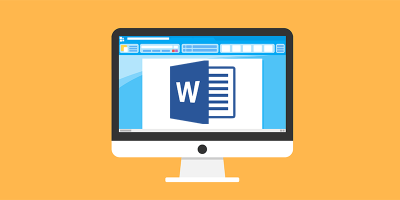 Of course, if you do need to edit the template later, you can open a new document with the template, make your changes, then save the edited template over the top of the original one, overwriting the outdated version. 2. 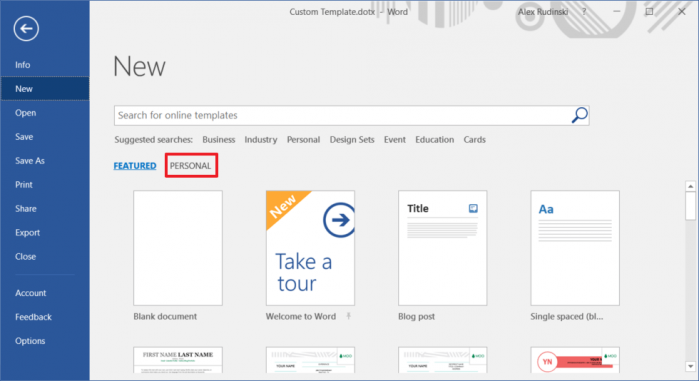 Click on “Personal” next to “Featured” to view your saved templates. Don’t click on “Personal” under “Suggested searches,” which will search online templates. 3. 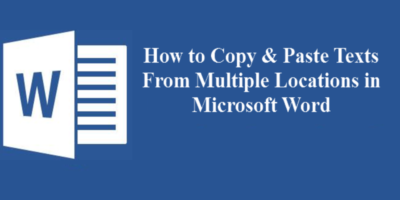 Click you template to open a new document with the same styling. Templates will save existing styling as well as text. This can give you a major leg up when filling out forms or creating similar documents regularly. 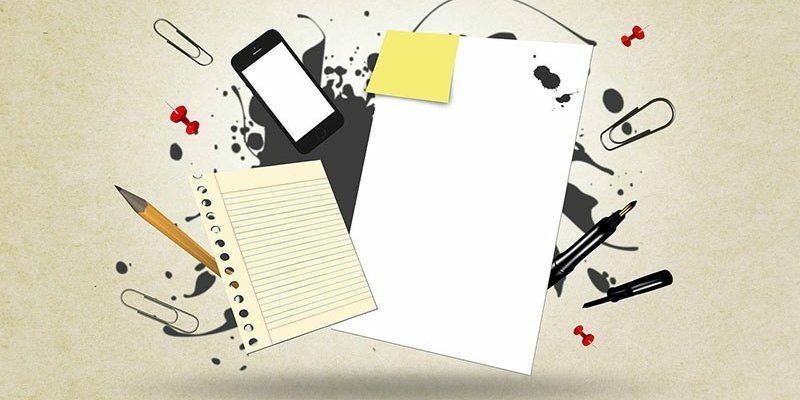 If you create many documents with the same basic layout or starter content frequently, templates are a major time and tedium saver. They also create consistency across documents and organizations. By sharing the template file, you can assure that other people in your company, department or team are following the same styling rules as you are. It can also encourage you to make attractive designs more frequently. After all, if you already have a template with an awesome header design ready to go, you don’t have to “waste time” designing an attractive document from the ground up each time. And well-designed documents impress everyone from cubicle mates to bosses to investors.